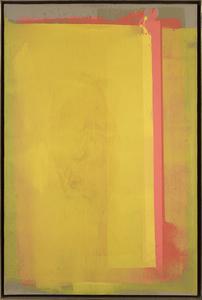 A leading figure in the development of Color Field Painting in the late 1950s and an important American abstract painter, Walter Darby Bannard (better known as Darby Bannard) was committed to color-based and expressionist abstraction for over five decades. 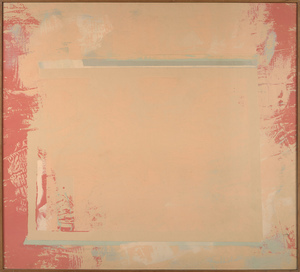 During his undergraduate years at Princeton University, he joined fellow students, the painter Frank Stella and the critic and art historian Michael Fried, in conversations that expanded aesthetic definitions and led to an emphasis on opticality as the defining feature of pictorial art. 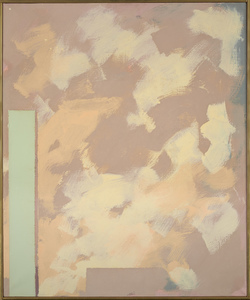 Bannard continued to explore attributes of color, paint, and surface through innovative methods, striving throughout his career for vital and original expressive means. He was also an important writer on formalist issues in art, serving as an editor for Artforum and a contributor to Art International. His extensive publications date from the 1960s to the end of his life. 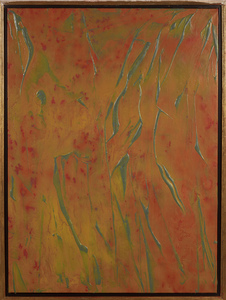 In the early 1990s, Bannard moved to Miami, where he served as professor and head of painting at the University of Miami, Coral Gables. Bannard was born in 1934 in New Haven, Connecticut. He attended Phillips Exeter Academy and graduated from Princeton University in 1956. Bannard, who made drawings and watercolors throughout his youth, was self-taught as a painter. 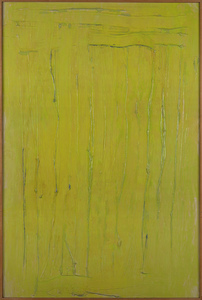 He derived inspiration for his earliest paintings from the art of William Baziotes, Theodoros Stamos, and Clyfford Still. 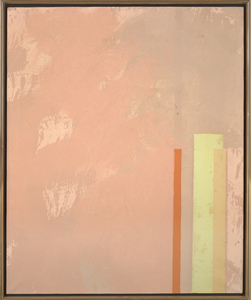 By the late 1950s, he had turned from an expressionistic style to working with large areas of contrasting color, creating austere minimal paintings. 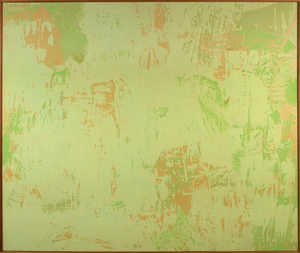 In the next decade, he was one of the first artists to blend artist’s materials with commercially produced tinted alkyd resin house paints in a search for greater color options. 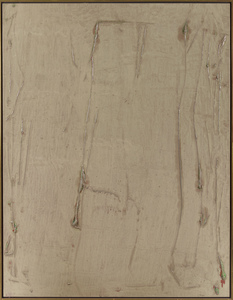 In 1964, he was included in the landmark exhibition, Post-Painterly Abstraction, organized by Clement Greenberg and held at the Los Angeles County Museum of Art. 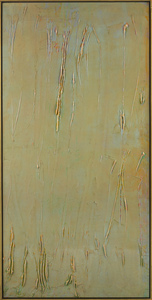 His first solo exhibitions were in 1965, at Kasmin Gallery, London; Richard Feigen Gallery, Chicago; and Tibor de Nagy Gallery, New York. He was also included that year in the Museum of Modern Art’s, The Responsive Eye. 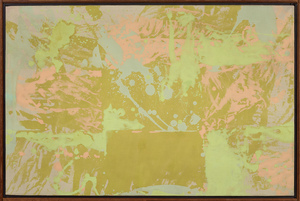 In 1968, Bannard received a Guggenheim Foundation Fellowship and a National Foundation of the Arts Award. 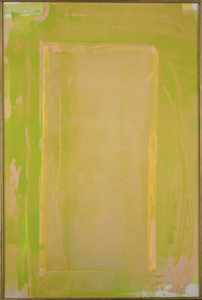 In about 1970, Bannard’s focus shifted to an exploration of the liquid quality of paint. 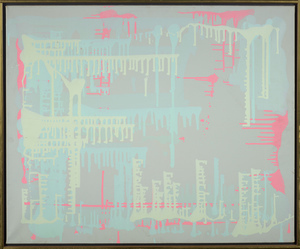 Drawn to the new acrylic mediums that were becoming available, he began working on the floor using thick gel surfaces and color suspended in Magna or polymer mediums. 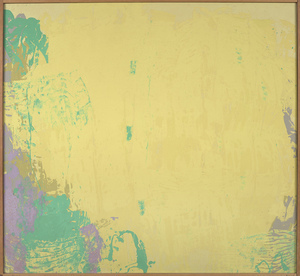 At the time, he “thought of color as a liquid, flowing over and settling on a roughened surface, changing as it mixed and dried.” His method involved stapling his canvases to slightly raised wooden platforms. 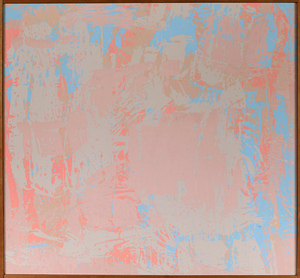 After tightly sizing his canvases, he scraped on colored gel with squeegee-like tools. 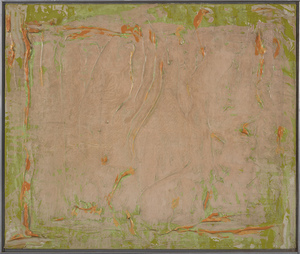 When the surface was dry, he poured colored polymer over it in layers, allowing the paint to find its place. He was drawn at the time to close-valued rather than strong colors and often allowed his pale warm grounds to serve as colors in their own right rather than acting as supports for other colors. 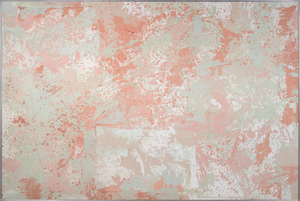 Karen Wilkin stated in Color as Field (2007): “Bannard probed just how subtle chromatic nuances could be before they became unbroken expanse. In these pictures, even composition could be reduced to a kind of near-negative, an echo of something no longer there.” (p. 61) In the late 1970s, Bannard was instrumental in the retrospective exhibition of the work of Hans Hofmann. He curated the 1976-77 exhibition and wrote the catalogue that accompanied it. Throughout his career, Bannard moved between the poles of Expressionism and Color Field Painting, resulting in a body of art that constantly evolved as the artist forthrightly faced the situations that his art presented, reacting to them with rigor and intuition. 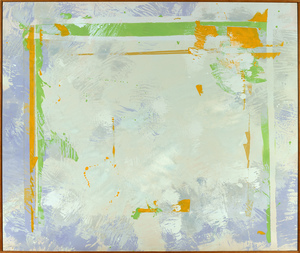 In 1983, Bannard held an Invitational Residency at the National Endowment for the Arts. 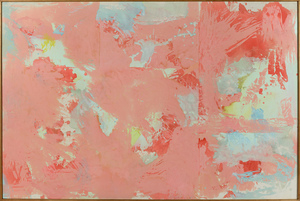 He taught at many art schools, including the University of Miami and the School of Visual Arts, New York. 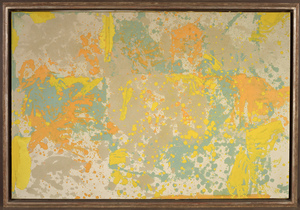 Over the course of his career, Bannard had almost one hundred solo exhibitions and was included in an even greater number of group shows. He is represented in public collections across the country as well as abroad. His museum collections include Albright-Knox Art Gallery, Buffalo, New York; Allen Memorial Art Museum, Oberlin College, Ohio; Baltimore Museum, Maryland; Blanton Museum of Art, The University at Texas, Austin; Brooklyn Museum, New York; Centre Georges Pompidou, Paris; Cleveland Museum, Ohio; Dallas Museum of Fine Art, Texas; Dayton Art Institute, Ohio; Edmonton Art Gallery, Alberta, Canada; Fogg Art Museum, Cambridge, Massachusetts; Honolulu Museum, Hawaii; Indianapolis Museum of Art, Indiana; Kenyon College Art Gallery, Ohio; Larry Aldrich Museum, Ridgefield, Connecticut; Lowe Art Museum, Coral Gables, Florida; Marion Koogler McNay Art Institute, San Antonio, Texas; Metropolitan Museum of Art, New York; Montclair Art Museum, New Jersey; Museum of Fine Arts, Boston; The Museum of Fine Arts, Houston, Texas; Museum of Modern Art, New York; National Gallery of Victoria, Australia; New Jersey State Museum, Trenton; Newark Museum, New Jersey; Portland Art Museum, Oregon; Princeton University Art Museum, New Jersey; Rose Art Museum, Brandeis University, Waltham, Massachusetts; Smithsonian American Art Museum, Washington, DC; Solomon R. Guggenheim Museum, New York; Storm King Art Center, New Windsor, New York; the Toledo Museum of Art, Ohio; Whitney Museum of American Art, New York; and Williams College Museum of Art, Williamstown, Massachusetts.